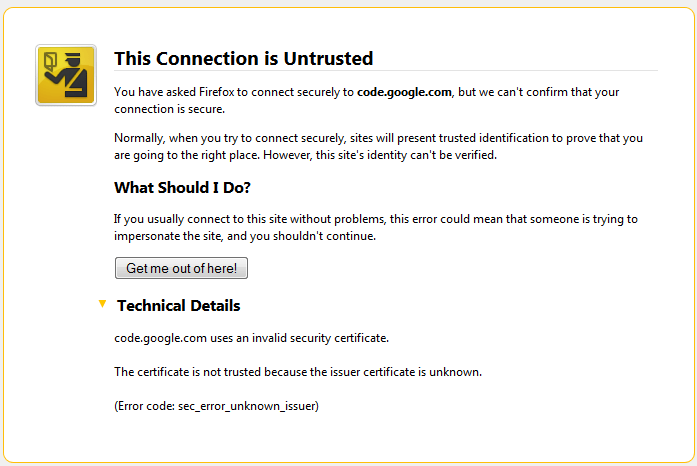 This article describes why the The certificate is not trusted because the issuer certificate is unknown error message may appear when trying to visit secure (https) websites in Firefox. (site name) uses an invalid security certificate. The above error is normally seen when the file cert8.db in your profile folder has become corrupted. In order to fix the problem, we will have to delete the file while Firefox is closed. To do so, we will need to find and open the profile folder. 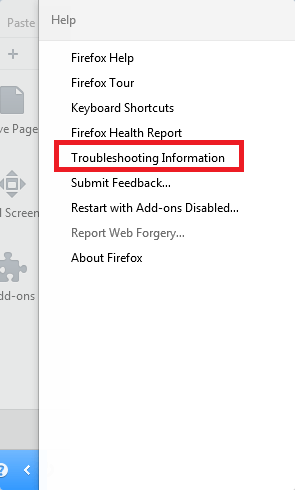 This can be done by clicking the menu button , clicking help and finally selecting “Troubleshooting Information” as seen below. When you have successfully opened the profile folder, close firefox and delete the cert8.db file. That should fix the error message “400 Bad Request”, if you have any questions or concerns please leave a comment below. You can also follow me on Twitter, add me to your circle on Google+, or like my Facebook page to keep yourself updated on all the latest of Hardware and Software reviews. Did not work for me. I still can not get to my https google mail. It is the same suggestion found on the Mozilla Firefox website, but it does not work for me either. 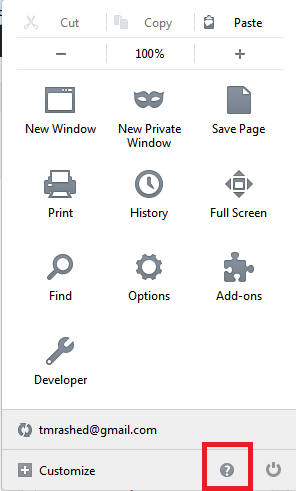 At least in previous versions of Firefox i was given an option to say that i know what i am doing and to continue further. Now without any option this is getting me crazy! It doesn’t work for me also. The weird thing is, the websites are working fine in google chrome. I believe the issue is with the SSL decryption your company is using. They may be doing man-in the middle sniffing, and the devices is improperly configured. I am searching since several days with uncountable hours! Can you share more details of your issue? Works for me, very useful site, thank you so much bro ! If you do not need to use a proxy to connect to internet then try to select “No Proxy” if “Use the system proxy settings” or one of the others do not work properly. Fabulous, Thank you so much, it works like charm. LOL! When I try to open the help to get the location of cert8.db I get … The owner of support.mozilla.org has configured their website improperly. To protect your information from being stolen, Firefox has not connected to this website. It works for me. I was just about to uninstall and abandon FireFox, for taking control from me – the User. Absolutely abnoxious, to assume that doing simple things like Google Search is threat, and assume they somehow hold higher standard. No option to override it. I have been fan of FireFox from early adopter days, but this and few other things over past couple of years, have put me off it totally. Actively considering moving to Chrome, only one thing holding back – my Yahoo Toolbar only works on FireFox (as I somehow found over version that is still compatible ! Check your date and time settings. If your date and time does not match a secure website it won’t be ale to check its certificate, and it will probably lock any website you try opening. I got this used Win 8 tablet online, and was having problems opening most of the common secured websites. And like you all I disabled all sorts of security settings, Firewall, uninstalled antivirus (Hackers welcome) and still, yet, having problems with IE, Firefox, and Chrome. Even Chrome could not open Google.com. After a while I noticed that my time was off, and the date was set to 3 years ago. Updated to my local time zone, entered the proper date and time, and *drum roll* all my browsers were at peace. Currently I am resetting the tablet to factory so that I don’t need to clean up all the mess I have done. Thanks a ton! This did the trick! Give it a try, folks.